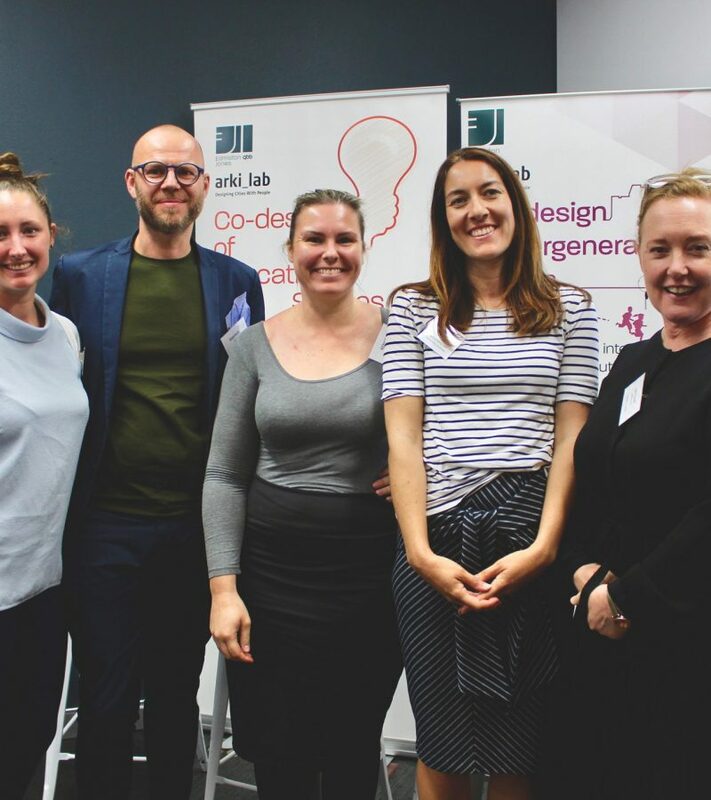 Our workshop held last week, Co-design in Community, wrapped up a series of conversations where we explored end-user engagement in the design process. 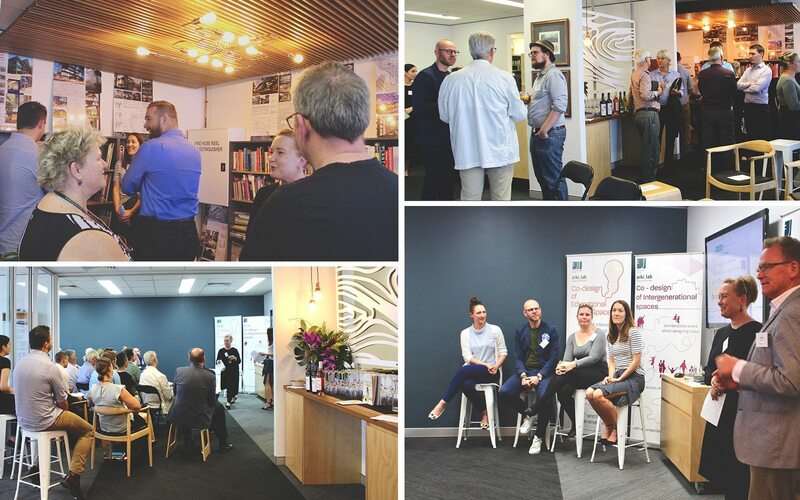 A no-brainer really, the co-design approach harnesses intelligence from those that will ultimately be using the space whether this is an office, a residence or waste recycling facility! The workshop hosted three practitioners working with communities on opposite sides of the world. 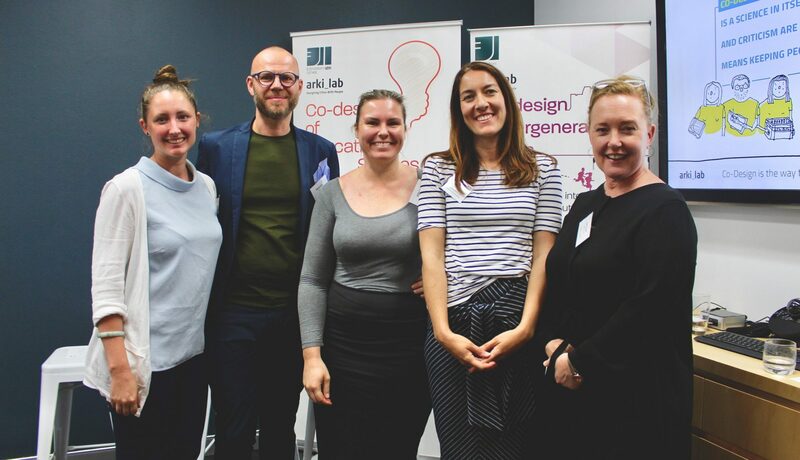 Vanessa, Development Manager at Illawarra Shoalhaven Social Investments, Renee, Team Manager at Edmiston Jones and Rasmus, CEO of our Danish partners, arki_lab. Atmosphere of the Edmiston Co-design in Community event, including the panel: Lauren, Rasmus, Renee & Vanessa (bottom right). Vanessa’s local projects in Bundaleer Estate and Bellambi were dependent on a slow process of patiently establishing strong relationships. The work began by starting conversations with people in existing social groups, about things that mattered to them, in places where they felt comfortable. From there, existing strengths in the community were reinforced to create positive change. Edmiston Jones’ work on the master plan for Bellambi Neighbourhood Centre highlighted the importance of being open to diverse voices and emergent ideas. Through this project, Renee learnt to adapt to the situation at hand and surrender her biases. These skills helped develop trust and encouraged flexibility between the project team and the community resulting in a robust design for refurbishment and extension of the Centre. The common threads of trust, transparency and respecting diversity recurred throughout each of the projects presented. Although separated by vast distances and different environments, co-design with communities is clearly connected by the same themes.